Today on the blog I'm excited to try something new (well new to me at least)! That's right, it's a guest post from my best friend, Natalia! It's no surprise that we are obsessed with beauty products, it's been a major way for us to bond over the years. One thing I've always been super jelly of is how she's able to keep her platinum blonde hair color looking so bright and vivid. After bleaching her hair to achieve the perfect shade, she's discovered the holy grail of drugstore hair care products, Nexxus ProMend split end treatment. I have to let you all know about the wonders of the Nexxus ProMend split end treatment- the miracle making shampoo and conditioning system that we've all been looking for. Let me introduce myself, my name is Natalia and I'm forever on the hunt for hair products that actually work. Hundreds of shampoos, conditioners, masks, serums and sprays promise to make your strands silky smooth while kicking split ends to the curb. But how can you be sure they work? Well, you can't. Unfortunately, many products prove to be let downs. It takes quite a bit of time and money to find the select few that keep their promise. Let me save you the hassle. I'll be the first to admit that I'm completely guilty of over dying and frying my hair, which is why I'm always looking for hair saviors. 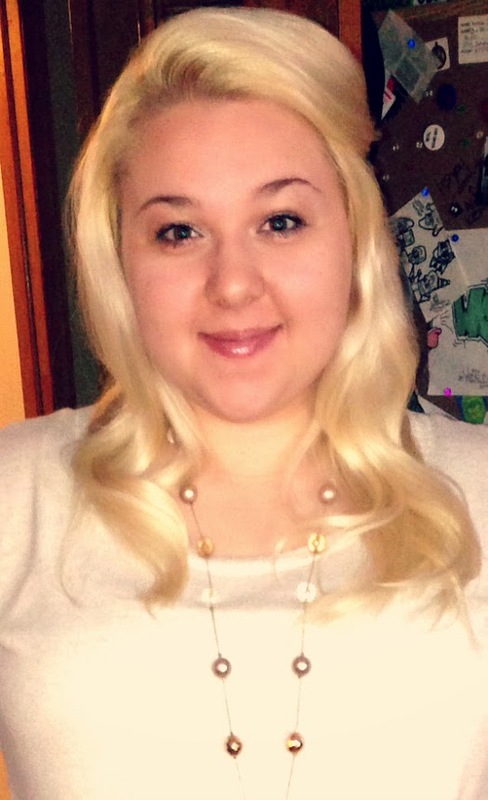 Keeping up with my current bleached blonde, 205 on the L'Oreal Feria scale, "look" is no easy task. Every four weeks I find myself buying another box and filling in my horrendous roots and touching up the rest. Besides bleaching, my hair goes through blow drying, straightening and curling, usually on the daily. Yes, my hair really does hate me. I have fairly long, fine hair. I struggle with frizz and those dreaded split ends. I hate the idea of trimming my hair and would rather heal my ends, leaving my hair forever long and luscious. 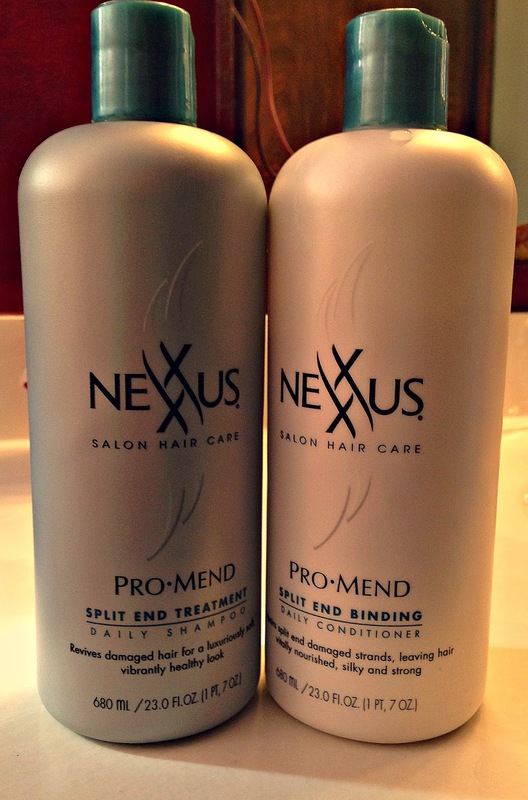 No product will ever completely take away your split ends, but Nexxus ProMend comes very close. I saw a difference after the first few uses, and now, a month later, I can see and feel a drastic difference in my hair. My hair is far from perfect, but it looks healthier, feels smoother, and those split ends are much less visible. Did I mention it smells great too? I highly recommend this product duo to those who love to color and style their hair, and suffer the split end consequence.The Nexxus ProMend shampoo and conditioner can be found at your local target or drug store. You can also buy it on Walgreens' website for $10.49. What do you guys do to keep your hair's split ends at bay? Sound off in the comments! Awesome review! I am always happy to learn of effective products that can be found at a drugstore and dont cost and am and a leg!